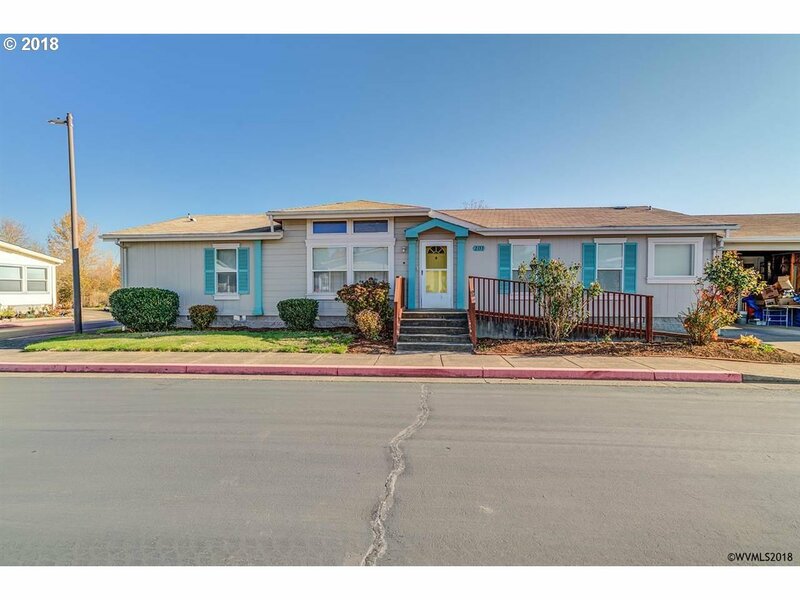 Manufactured Home On Its Own Land on Corner Lot Ã¢â¬â Newer flooring & windows, open 2 car garage, 8 x 20 shop, 4 extra parking spaces in back or RV, no neighbors in back or on side. On permanent foundation w/Certified tie downs. Accessible ramp at entrance. Underground Sprinklers. $72/mo HOA includes city water & sewer. City mows adjacent empty lot weekly, will permanently remain vacant. Move-In Ready! Copyright © 2019 RMLS. All rights reserved. Information deemed to be reliable but not guaranteed and should be independently verified. The data relating to real estate for sale on this website comes in part from the Internet Data Exchange Program of the RMLS™ of Portland, Oregon. Real estate listings held by brokerage firms other than Copper Tree Realty are marked with the IDX logo and detailed information about them includes the name of the listing brokers. Listing broker has attempted to offer accurate data, but buyers are advised to confirm all items. Information last updated on 2019-04-22 20:27:24. Some properties which appear for sale on this website may subsequently have sold or may no longer be available..